I’m scared of heights. This is where I spent Valentine’s Day. And this is what my relationship with Don looks like. We hike, climb, ski (yes, steep slopes also tend to scare me) and bike. Sometimes I have meltdowns. Sometimes I grin all day long. But more often than not, I’m learning that a slow, abiding exposure to these things makes everything okay. Finding solace and confidence in the mountains is not always a matter of being badass, or fearless. Some may say I do it for a man. That’s not true. (Well, maybe a tiny bit.) The truth is that I love being on the side of the mountain. I love the powder turns on the way down. I love the absolute focus of a rock climb. I love climbing camp and empty summits. I spent many years single, solo in the mountains. 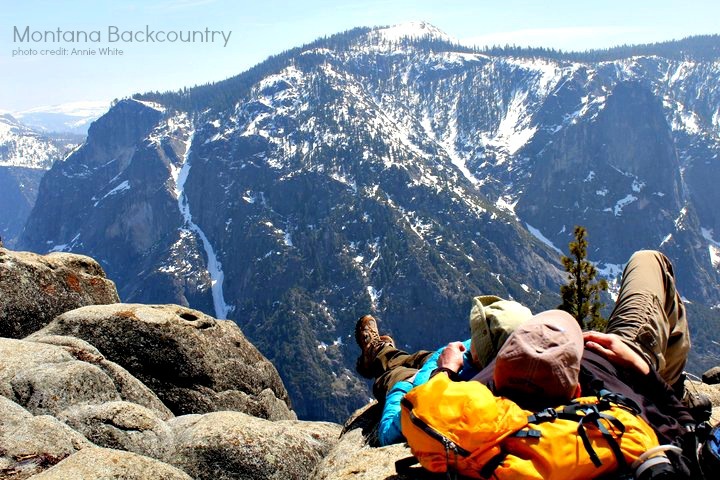 My affinity for the backcountry is not hinged to a romance. If anything, my romance with Don and the mountains is a symbiotic one; each grows the other. I’ve learned it’s okay to be scared and it’s okay to progress slowly; I don’t have to attack it head-on all the time. I don’t have to be scared shitless all the time. I’ve learned fear can fade, and it can return at inopportune times. 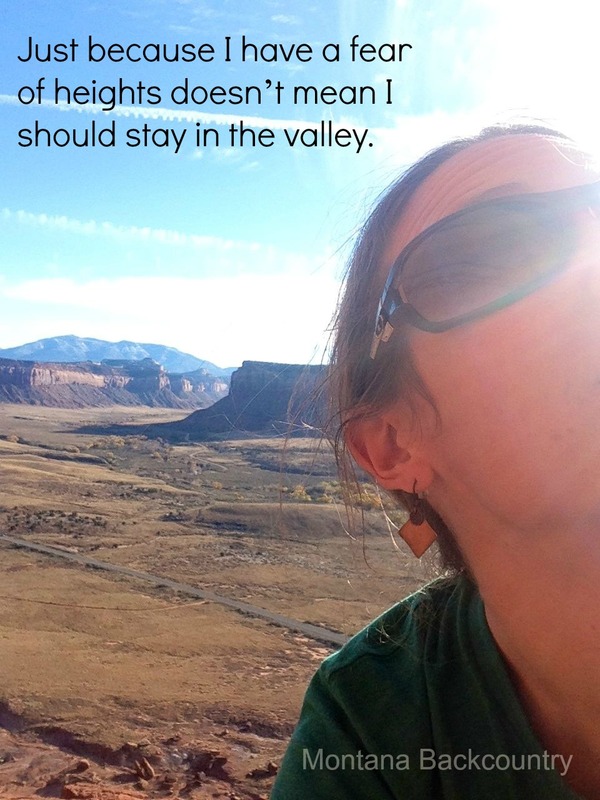 Just because I have a fear of heights doesn’t mean I should stay in the valley. We recently got a bouldering gym in our neighborhood. It’s a 10-minute walk from our house, and brilliantly located in the same building as Draught Works Brewery. It’s taken a couple of months to get comfortable with topping out. For a long time, I’d drop off three-quarters of the way up a wall, unwilling to continue. More and more, it’s feeling breezy and fun. 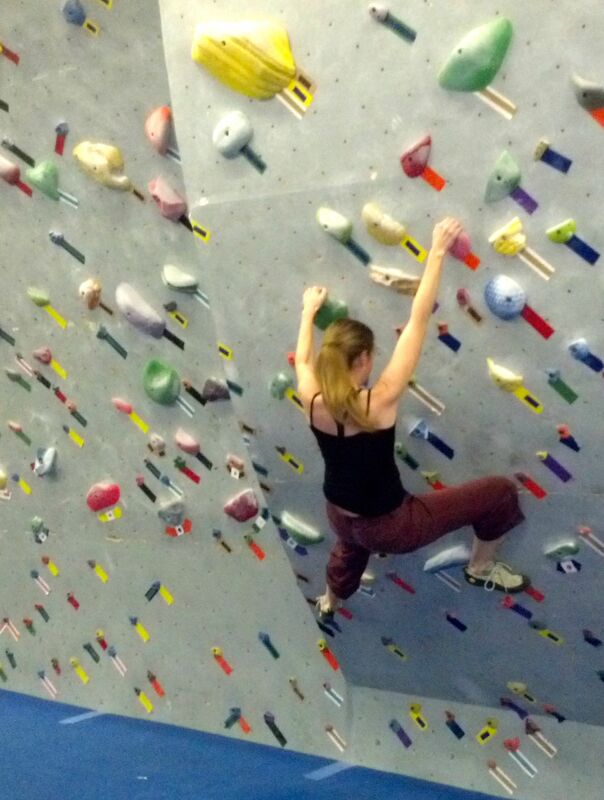 Despite the fear, bouldering is becoming an addiction. I’m a novice, but I’m not sure that really matters anymore. After a long, stressful day in front of a computer, I often return home on dark, icy streets, eyes twitchy and glazed. I forego the run, the ski in the dark, the normal gym routine. I enter Freestone, put on my climbing shoes, crack my back, and in two minutes, the rest of the world melts away. For an hour, it’s my hands, my feet, my hips, and the puzzle of a new problem that matter. I thought, at first, I’d be bothered by the crowd of climbers on a busy night, but we stand around, taking on a certain Zen. We’re all there slipping into our bodies, letting our worries fade. Afterwards, arms pumped, hands challenged to hold a pint, we share a beer or two. Some days you don’t get outside, or even into the backcountry, but this is the next best thing, and it makes you ready for the days when you do.